SKU: cd-gc-adult-ens. 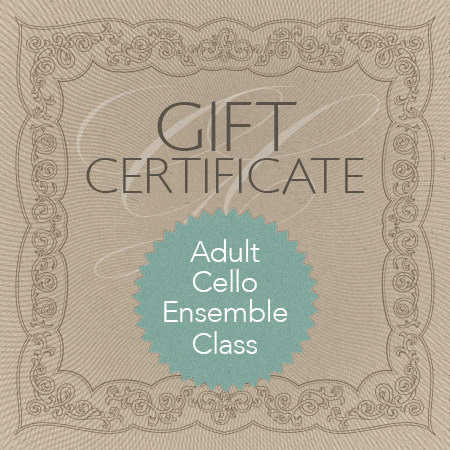 Category: Gift Certificate. 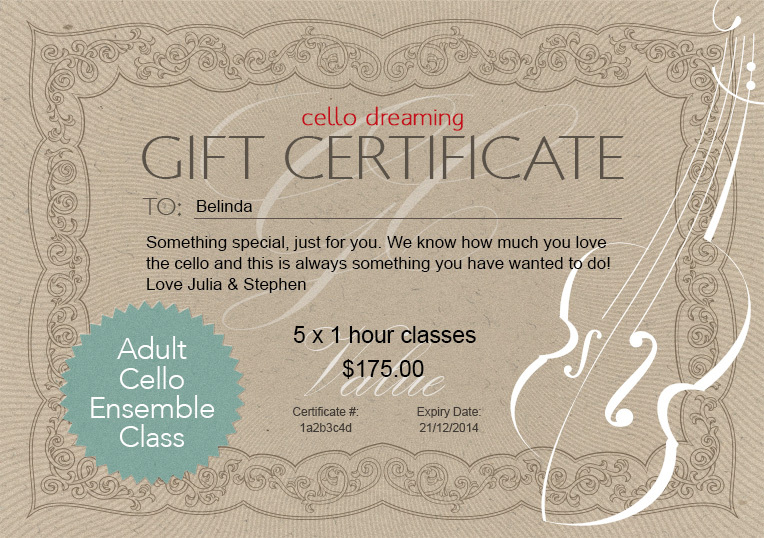 Click to view a sample of the Gift Certificate you can send to a special cellist in your life.